I have one week left at work, it will be very strange leaving it all behind. I'm so excited for the future but also so much to hand over to someone else at work, I'm sure that I will forget something along the way. I told you a little while back that I had started drawing again, that has continued and I am building up a library and seeing my progress by doing so. I'm not ready to show them yet but hopefully soon. 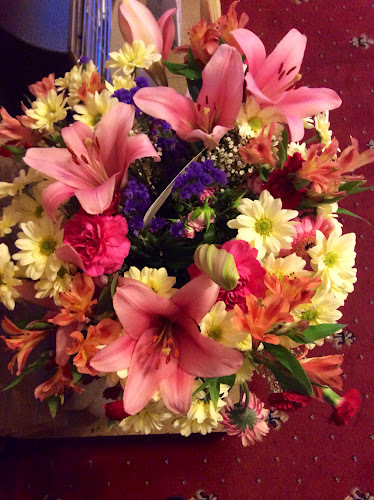 I had a birthday on Sunday and had a wonderful day, lots of goodies and the most beautiful bouquet from Chris, the flowers are opening up and the fragrance is filling the house. Aren't they gorgeous, the make a dull day very bright. So on to my update on what I will be doing with myself. I am going to be freelance, still crafting, still on TV more than I do already, so it is all good. I'll give you times and dates later. So looking forward to catching your shows! Break a leg as they say! 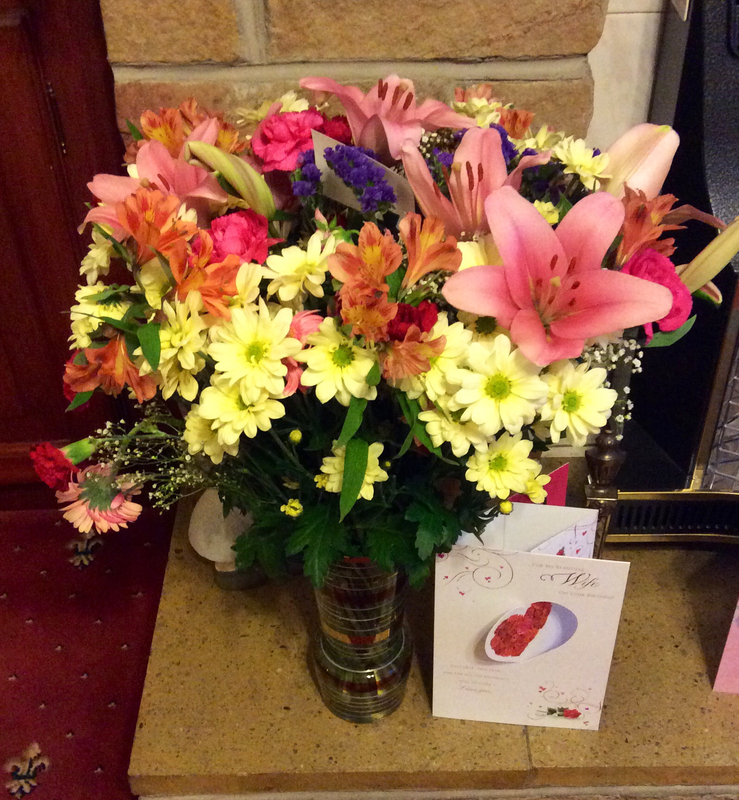 Beautiful flowers jak, glad you had a lovely birthday. Look forward in seeing you more on the tv, i,m sure whatever you are demonstrating you will be great. Good luck for your new ventures. Would love it if in the future you design some more digi backing paper sets and verses. Beautiful flowers and happy belated birthday, and best of luck. Good luck for the future Jac. Looking forward to seeing your drawings. I am sure whatever you do will be a success. Very Happy Birthday Jak, and such gorgeous flowers you got here from Chris. Lillies are also one of my favorit flowers too, and these looks amazing. Best of luck for everything here in the time to come now, and I sure look forward to see a lot more of your wonderful work around here too, that´s for sure. Have a wonderful week-end ahead now. Beautiful flowers from your Chris. I wish you every good wish for your future. Hi Jak the flowers are gorgeous! i am sure i can smell them!!! lol! and good luck in all you do!!! What a lovely bouquet for your b'day Jak -I can practically smell them right through my computer screen! Big congrats on going out on your own!